#Erarta. #PetersbrugErarta. ##SaintPetersburg. #StPetersburg. #StPetersburgArt. #RussianArt. #ModernArt. #ContemporaryArt. Museum of contemporary art. 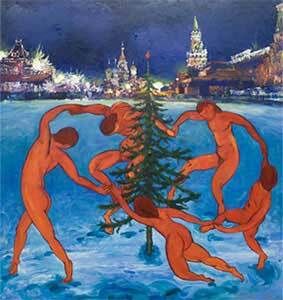 Contemporary Russian Art. What to see in St Petersburg Russia. Things to see in St Petersburg Russia. private tours St. Petersburg Russia. 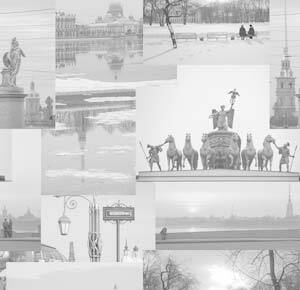 For many years we had no museums of contemporary Art in St. Petersburg. Famous museums like the Hermitage and the Russian museum didn't display much contemporary art either. The only places where we could see such art were several comparatively small art galleries. In 2010 the first museum of contemporary art was opened in our city. It was named Erarta. The name consists of two words - "Era" and "Arta" and could be translated as "The Era of Art". Right now Erarta is the largest private museum of contemporary art in Russia. The collection consists of 2300 works created by more than 250 artists from different regions of Russia and represents the period from 1945 till modern time. The exhibition displays works of renowned masters as well as works of artists who aren’t so widely known but are obviously talented and have something to tell people. Along with paintings, graphics and sculptures Erarta represents collage, video art, science art, art-animation and installations. More over Erarta is not just a museum. The 1st floor of the northern wing is occupied by Erarta Gallery where you can not only enjoy the modern art but also purchase artist's works. Some of the pieces in the galleries belong to the same artists who are represented in the museum, some are different. The exhibitions in the galleries are regularly renewed. More detailed information about Erarta you can find on the official site. Please notice that Erarta is not a commercial project and all the profit from the museum and galleries is used for support and promotion of Russian contemporary art. We will be pleased to organize a visit to Erarta museum and galleries for you and very much recommend to take a guided tour of the museum. Such a tour will help you to see the most important works in the limited time you have and to get a general idea of Russian contemporary art state and development.